Adults $20.00, Seniors $18.00 and Children $15.00 Call 609-399-6111 or visit oceancityvacation.com/boxoffice for tickets! Ocean City, NJ – The Ocean City Theatre Company proudly presents Madison Square Garden’s A CHRISTMAS CAROL – The Broadway Musical, an outstanding musical version of a favorite timeless story by Charles Dickens. The production runs December 8, 9, 15 and 16 at 7:30 pm, with matinees on December 10 and 16 at 2:00 pm. All performances will be held at the historic Ocean City Music Pier, Moorlyn Terrace and the Boardwalk, Ocean City, NJ. The fully staged OCTC production will feature a professional cast of performers under the direction of Shannon Agnew with choreography by Colleen Kreisel and music direction by John Grieco. Broadway heavy hitters, Alan Menken (Disney’s Beauty and the Beast, Disney’s The Little Mermaid, Little Shop of Horrors) and Lynn Ahrens (Ragtime, Seussical, Once on This Island), breathe fantastic new life into the classic tale of A Christmas Carol that will captivate audiences and put everyone in the Christmas spirit! Tickets are $20 for adults, $18 for seniors and $15 for kids. Advance reservation is encouraged! Call 609-399-6111 or visit oceancityvacation.com/boxoffice to order your tickets! 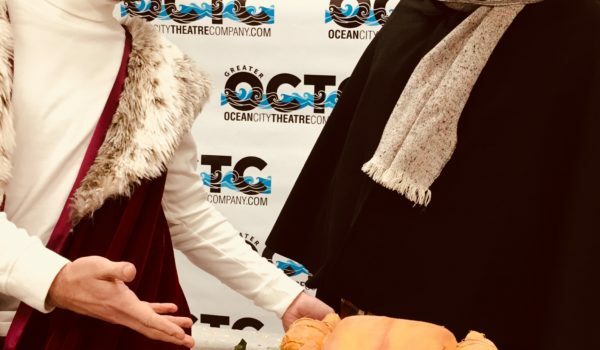 OCTC and the City of Ocean City are thrilled to combine the magic of Christmas and the magic of Broadway this holiday season!